If you’re running a business, you need a bank—that much is clear. What’s not always so clear is which bank is the best for your business banking. With a bank on every block and corner of the internet too, finding the right one can be an overwhelming choice. It’s not as simple as choosing the one you use for your personal banking needs. Nor is it a case in which you should just pick the one closest to your office. All banks are not created equal when it comes to serving businesses and banking service. Banks offer a wide range of services, credit cards, levels of support and solutions unique to them, which can significantly affect the way you do business. The right bank can help save you time, stress and money, while the wrong one can lead to more headaches, hassle and lost time and money. So how do you find the right bank for your business? How do you find the right bank for your cash management requirements? Here are some important factors to consider. As a business owner, you have multiple balls in the air at any given time. Your bank should provide services that take some of those from you to make your job easier, not more difficult. You want a bank that has a deep understanding of how businesses work, knows your pain points and has solutions to address them. It’s also about not just meeting your needs now, but anticipating them in the future and being able to grow with you as your business grows. Often business banking relationships can become complex and confusing. American Bank & Trust takes a simple approach. As an example, over 90% of its customers qualify for Free Business Checking. Those who do not qualify are asked if they would prefer a set monthly fee versus a barrage of monthly charges. Also, you have one-stop access to their internal bank experts who can offer advice on borrowing, investing, cash management, retirement planning and more. 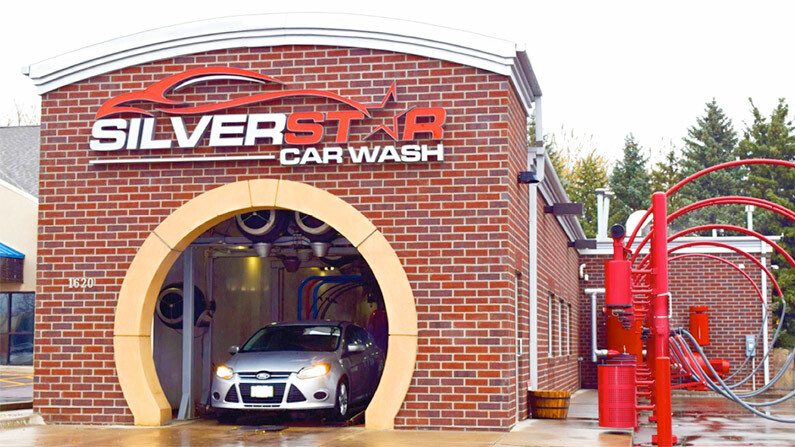 It was a couple years ago that Silverstar Car Washes in Sioux Falls, SD, began searching for a bank. Ryan Holte, one of the owners, said the most important thing to them was finding someone to listen to their story, find out what their goals were and tell them what was necessary in order to accomplish them. The bank they eventually selected, American Bank & Trust, checked all those boxes, and more. They offer everything from free business checking to business savings accounts that accumulate interest, business credit cards and loans. They also offer a full suite of cash management services, that helps businesses seamlessly manage their payroll, deposits, payables and receivables and other tasks, often without having to even leave their office. Of course, a bank can offer all the necessary services for your business, but if doing business with them is a pain, then it’s just not worth it. Business banking should serve your needs and do it with a smile, both figuratively and literally, whenever you interact with its employees in person, on the phone or via email. While various financial institutions may tout their stellar customer service, some go over and above to guarantee it. For example, because customer service is so vital to its mission, American Bank & Trust has a Customer Service Constitution. This constitution is displayed in all if its bank lobbies. It outlines exactly what customers can expect from the bank. It includes everything from guaranteeing employees will greet you with a smile, eye contact and handshake to protecting your confidentiality and promptly returning emails and phone calls. While some of these things may seem small, they all add up to the customer service you should be able to count on from your financial institution. Oftentimes big banks may offer more branches. However, the service you receive will typically be more personal and personalized when you work with a smaller bank. Also, while national banks may the same products, a local bank is able to customize their products or services to meet your business’ specific need. When a bank is locally owned and managed, they understand the local business landscape and have a vested interest in keeping you as a partner and your local economy strong and thriving. Perhaps the best way to evaluate if a bank will live up to all the promises it makes, is to find out how they treat their other customers. Talk to other business owners about their experiences with various banks to get their feedback. While no two businesses’ needs will be identical, it will give you a good idea about how they treat their customers and how effective the services they offer may be. So, if you’re looking for a bank to do business with your business, make sure you do your homework and find one that makes your work easier and your money work harder for you. It may take some shopping around, but finding the right one can be invaluable to your business. Ask an American Bank & Trust business banker how we can be invaluable to you.